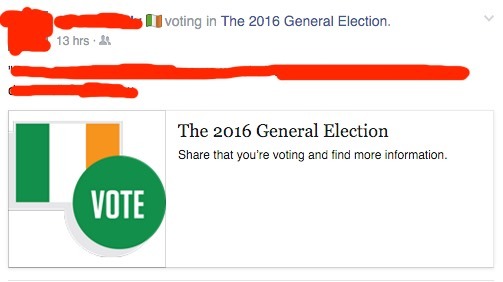 Today Ireland went to the polls to vote in the general election. There is less than an 10 minutes of voting left at time of writing. As could be expected the tech giants have “done their bit”. 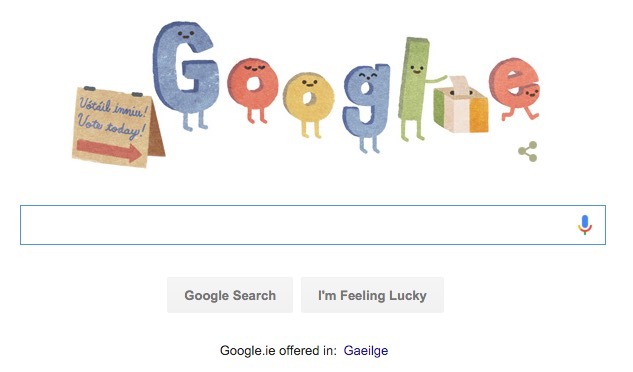 While Twitter users have been using the hashtag #GE16 heavily for the last few weeks the emoji (which only works on the web interface for Twitter as far as I can see) was only enabled today. It’s not clear how long it will be active for, though I’d assume it’ll work until early next week. Over the past few days several organisations have been pushing out statistics about which parties and candidates have been attracting the most followers on Twitter, though as far as metrics go I’m not sure that’s particularly useful. Twitter have also provided a nice map showing Twitter activity during election day. Ultimately we won’t know who has won, if anyone, until tomorrow night at the earliest..